Learn more about the annual WIND Conference. Learn what others have to say about the annual WIND Conference. 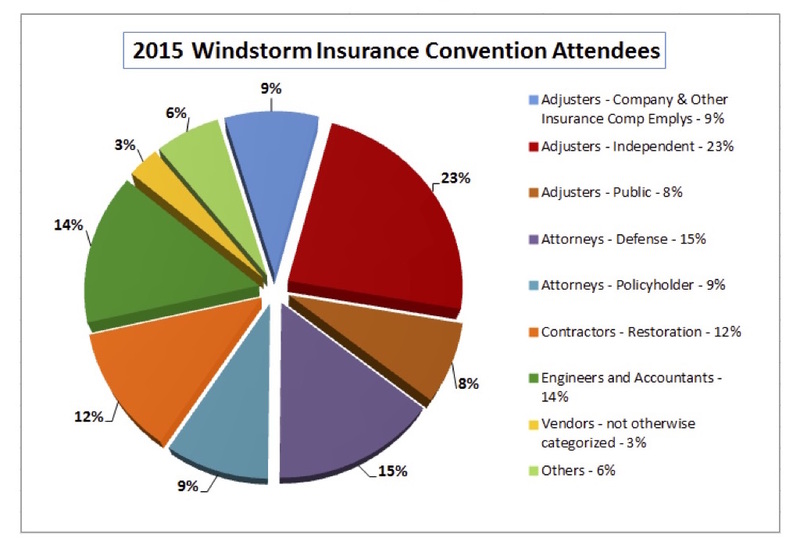 Take a look at the diverse groups that make the annual WIND Conference a unique learning experience for property/windstorm insurance professionals. Conference hotel located just two miles from Disney; take advantage of exclusive park discount tickets. Here’s a look at each day’s events and our breakout workshop sessions schedule. Get a year’s worth of CE credits in just three days! Browse from more than 30 classes offering both CE credits and important industry hot topics. Book now and secure your room in our discounted conference block. It’s Not Too Late to Register for the 2016 WIND Conference! Sign up today to market to 1,000+ windstorm/property insurance claims professionals. Spaces are going quickly! The tournament is back! February 1, 2016 at the beautiful Waldorf Astoria Golf Course. Be prepared to laugh out loud with Humorist Sean Carter. Four conference evening receptions offer prime networking opportunities to meet and greet old and new acquaintances and colleagues. Important updates for our 2016 workshop faculty presenters. Never been to a WIND Conference? Check out previous year’s events to see what it’s all about!